Cloud computing has been in the news for years now and software providers have been offering cloud-based services for quite some time. Now businesses are moving entire enterprise resource planning (ERP) systems into the cloud and they appear to be moving in that direction more than previously thought. Cost savings: Save money from investing in additional hardware or infrastructure or searching for the IT experts needed to keep your on-premise system functioning. You need less up front capital to move into the cloud and you can have predictable, consistent IT costs. Consolidate multiple licenses: Software licensing, periodic maintenance, and upgrade assistance can get expensive, especially when using multiple, disparate software programs. A single ERP solution in the cloud can be easier to manage, as well as easier for your people to learn and use. Added mobility: You may have field services and sales professionals that spend more time outside the office than in it. Stay connected with field teams and keep them connected to your business data with mobile access through smartphones, tablets, or other mobile devices. Less down time: On-premise software often requires the occasional shut-down to backup or archive data, update software, or trouble-shoot problems. Cloud providers automatically backup data and perform software upgrades behind-the-scenes, which means less downtime and distractions for your people, especially IT teams. Cloud computing can cut costs, reduce overhead, and strengthen business operations. Contact Sherwood Systems to learn more about your cloud options and how you can implement cloud and ERP solutions quickly, easily, and affordably. 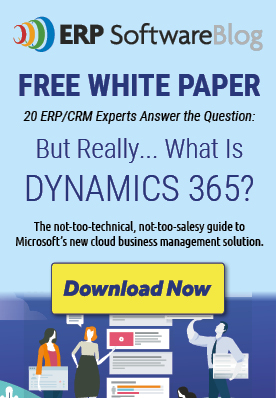 What is a Microsoft Dynamics Partner?